Mary-Kate Olsen will be in Weeds and Flavor Flav smokes a lot of it. ***Showtime has signed half of the Olsen twins, Mary-Kate, as a regular on its third season of Weeds. She'll play a character named Tara in 10 of the upcoming 15 new episodes. Tara, slated to be a love interest of Silas (Hunter Parrish), otherwise lives in a newly developed "mega-church community" called Majestic. Weeds, generating ample buzz on- and off-camera, returns on Aug. 13th. 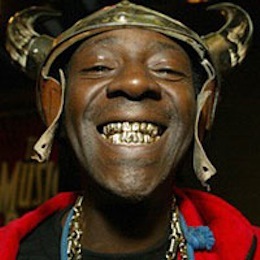 ***Comedy Central's latest celebrity roast will be of rapper/womanizer Flavor Flav, star of VH-1's most popular series, Flavor of Love. They'll tape the thing in July for airing on Aug. 12th. Previous roastees have included William Shatner, Pamela Anderson, Chevy Chase (hardly anyone of note showed up) and Jeff Foxworthy. ***D-FW television stations mostly have ignored the Dallas mayoral debate. But finalists Tom Leppert and Ed Oakley at last will get a little face time during a live, half-hour debate airing at 8 p.m. Thursday (May 31) on CBS11, TXA21 and public television station KERA (Ch. 13). CBS11 anchor Tracy Rowlett is moderating the candidate faceoff, with a half-hour panel discussion/analysis program following at 8:30 p.m.
***Former D-FW anchor and CBS Early Show personality Rene Syler again will return to The View as a guest host on June 12. She won't have to deal with Rosie O'Donnell, though. She's leaving the show immediately, rather than on June 20th as previously announced. O'Donnell's abrupt decision to depart comes after this week's nasty verbal spat with View co-host Elisabeth Hasselbeck. In fairness, Hasselbeck is really more the aggressor this time out. But of course O'Donnell will take most of the crap.